Rock 92.5 welcomesThe Outlaws&Bishop Gunnto the 2019Crawfish Music Festivalon April 25th at the Mississippi Gulf Coast Coliseum. Great music, rides and games for the kids and tons of delicious Crawfish! 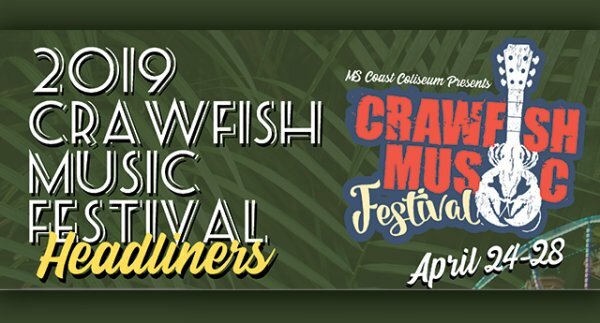 Enter to win a pair of reserved seats to see The Outlaws and Bishop Gunn at the 2019 Crawfish Music Festival on April 25th. The Crawfish Music Festival returns for a five day event Wednesday, April 24 through Sunday April 28. The 2019 Festival includes midway rides, a variety of food, unique vendors, craft beer, a crawfish cook-off, and 4 full days of live entertainment. Tickets are now on sale for all days, with Thursday tickets starting at ONLY $10.